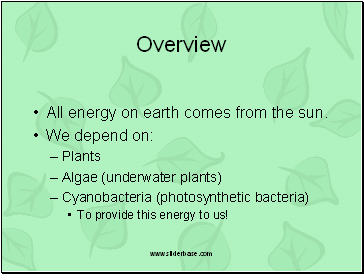 All energy on earth comes from the sun. To provide this energy to us! 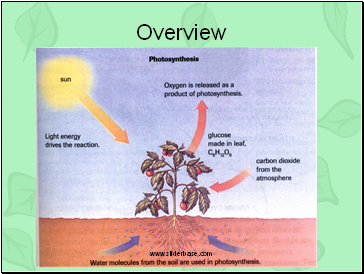 Plants absorb light energy and convert it to a usable form. 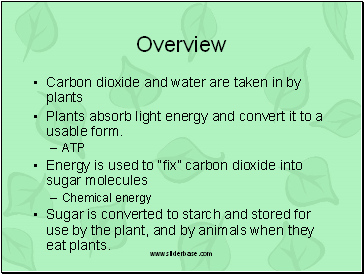 Sugar is converted to starch and stored for use by the plant, and by animals when they eat plants. 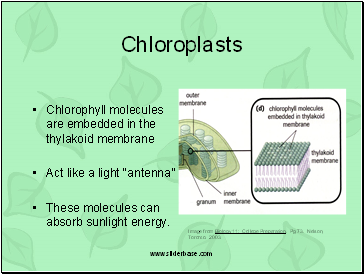 The inner membrane is called the thylakoid. 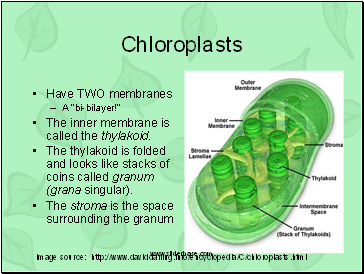 The thylakoid is folded and looks like stacks of coins called granum (grana singular). 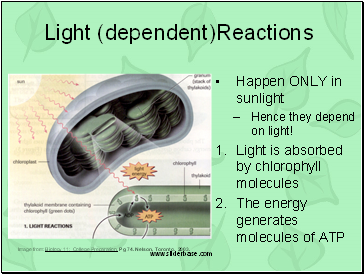 These molecules can absorb sunlight energy. 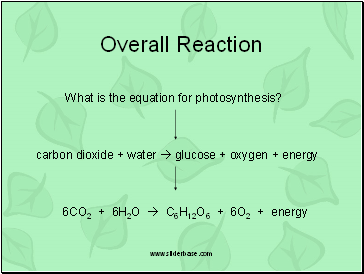 Image from Biology 11: College Preparation. Pg 73. Nelson, Toronto. 2003. Hence they depend on light! 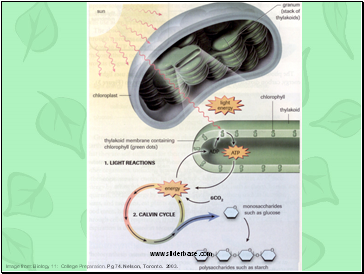 Image from: Biology 11: College Preparation. Pg 74. Nelson, Toronto. 2003. Happen in sunlight, and in the dark. 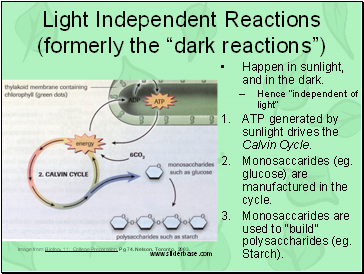 ATP generated by sunlight drives the Calvin Cycle. Monosaccarides (eg. glucose) are manufactured in the cycle. 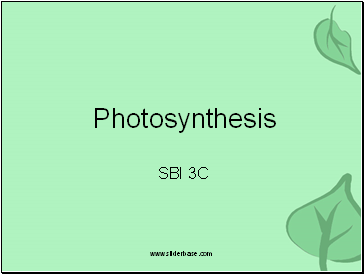 Monosaccarides are used to “build” polysaccharides (eg. Starch).